On Friday(November 30th) Melanie Thierry and Melita Toscan du Plantier hit the red carpet for the Marrakech Film Festival Opening Night in Marrakech, Morocco. 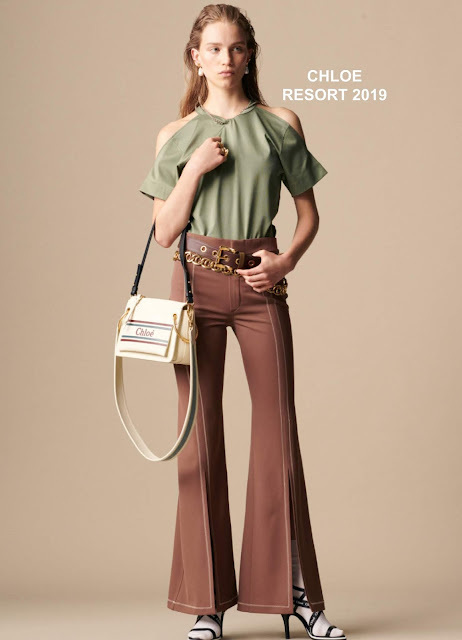 Melanie Thierry went the retro route, rocking a CHLOE RESORT 2019 ensemble which featured a green cold-shoulder top and brown split hem, wide-leg trousers. Melita Toscan du Plantier dressed up in a off-the-shoulder, colorful beaded gown, featuring a tulle trimmed, split neckline and a black velvet waistband. Love this gown and the beaded detail.